The forward was picked up by the television cameras showing his middle finger across the ground towards a Giants player, then seemingly imitating snorting drugs. 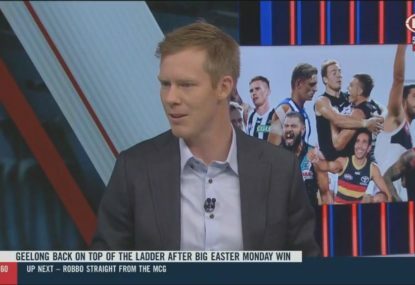 According to AFL.com.au, Martin has been fined $7,500, with $5,000 of that suspended until the end of 2020. 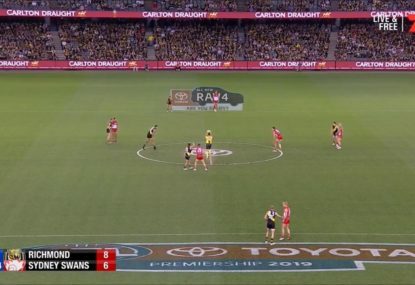 Allegedly, the gestures were made to Giants player Shane Mumford, who was playing his first match back in the AFL after serving a two-game suspension, following a video showing him snorting a white powder surfaced at the end of last year. Martin took to Twitter on Wednesday afternoon to apologise for his actions during the match, stating he knew it wasn’t a good look for the game. Frustrating one on the weekend !! I understand my reaction is not a good look for the game.. I apologise for my actions . Thanks ???????? It’s unclear whether Martin’s tweet is part of an AFL direction, or whether he made the decision to apologise himself. 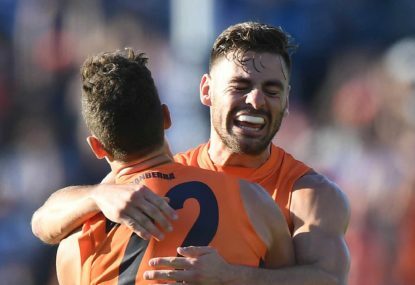 It was a rough weekend on many fronts for Martin and the Tigers, who fell to the Giants by 49 points. The 27-year-old with 200 games of experience for the Tigers will be forced to sit out of this week’s clash against the Port Adelaide Power after he was pinged for striking Giants forward Adam Kennedy during the match. 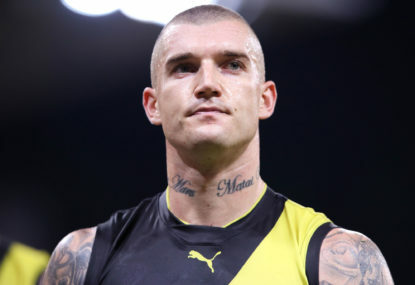 Originally set down to be a two-week ban from action, Martin won his challenge at the AFL tribunal on Tuesday night, with the contact brought from a medium to low-level offence, allowing the suspension to be dropped from two weeks to one. 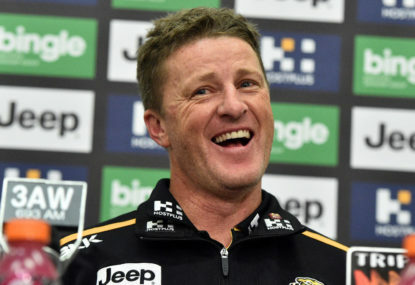 It means Martin will now be available to face the Sydney Swans the following week as Richmond deal with an injury crisis which has already sidelined Alex Rance, Jack Riewoldt and captain Trent Cotchin.